3 Color Temperatures(white, warm white, warm yellow) and Stepless Dimming. 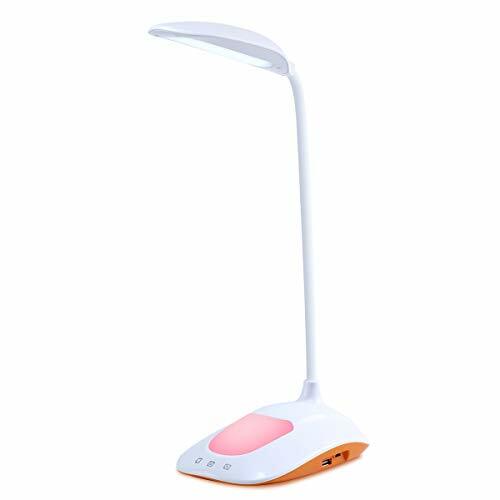 You can choose your favorite color temperature and adjust the light brightness as you like. Short press the button to turn on/off the RGB light; change different colors by holding it every second; hold it for 2 seconds then it can be automatic gradient color, then press the button until the light flashing, it can lock current color. creating a romantic and warm atmosphere, make the party, children's play, sleeping more wonderful. 36Pcs high-quality 2835 SMD LED beads are arranged in a scientific way, after being refracted by a high-transmission light guide plate, evenly irradiated to achieve no stroboscopic, reducing blue light hazard. The life time can last up to 50000 hours. 1. Please switch the button at the bottom to the "ON" when you use it first time and switch it “OFF” if you don’t need to use it for a long time. 2. When the voltage is low, the RGB will flash twice and then the light will automatically turn off to avoid overuse of the battery. 3. The red indicator light will flash when it is charging and will stop flashing when it is full. 4. The Power Bank output port and the USB input port cannot be inserted at the same time. Only input or output operations can be performed at the same time.